We are elated to announce that our very own drummer, Murdock ,is a Pork Pie Percussion Artist! 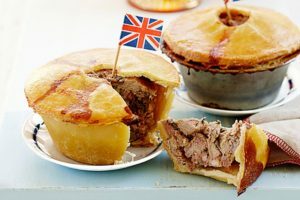 Which means our jolly chap must consume one of these deeeelish Pork Pies daily! Oh yum! …now I’m hungry. In all seriousness, Pork Pie is an American boutique drum company that specializes in custom drum kits. What particularly makes this special is that Murdock was already a big fan of their drums for years! For any of you fellow drummers out there, you might recognize the brand name from your drum throne unless you’re some kind of savage using just any old throne. Their drum thrones are particularly quite a cushy ride while you’re blasting away at the drums, and The Adarna highly endorses all of their drum products. Take a gander at a few of the photos courtesy of our very talented friend Greg Mitchell! You might recognize a good number of his photos across our website.